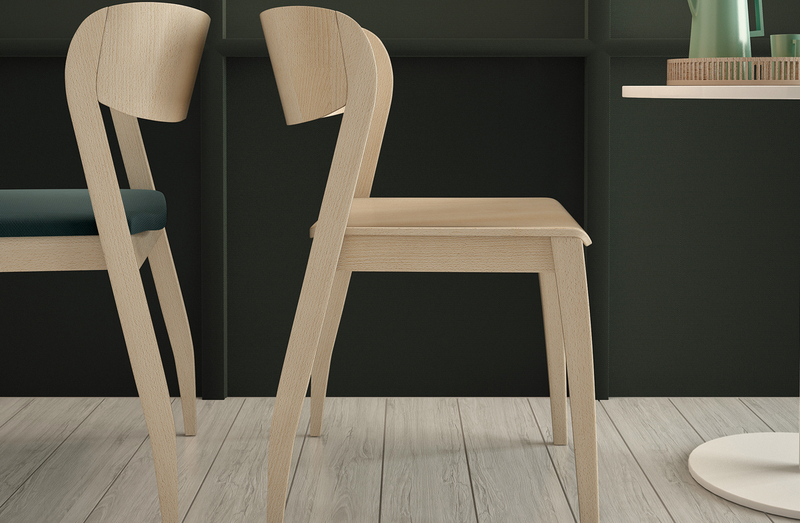 Dining chair collection with structure in beech wood, wood or upholstered seat. Please see ADDITIONAL SPECS to view available beech wood stain options. 20" x 21.25" x 31.5"H/19" seat height. See ADDITIONAL SPECS for available finishes.